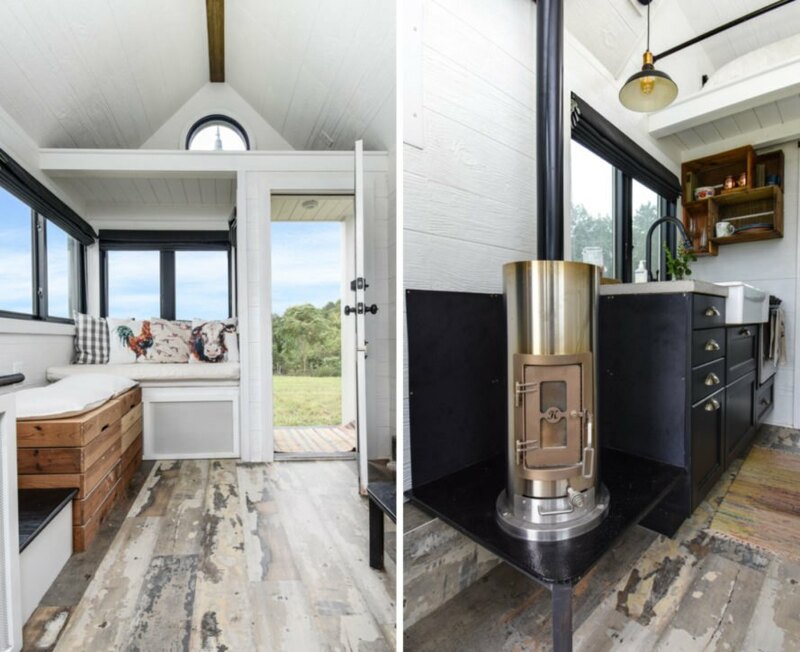 For those looking to get a taste of tiny home living, this charming, energy-efficient home located on a working farm outside of Winston-Salem, North Carolina is just for you. Despite its small stature, the Roost 18 is a sustainable powerhouse, complete with sheep’s wool insulation, energy-efficient kitchen appliances and a composting toilet. The adorable abode can be rented out on Airbnb starting around $88 per night. 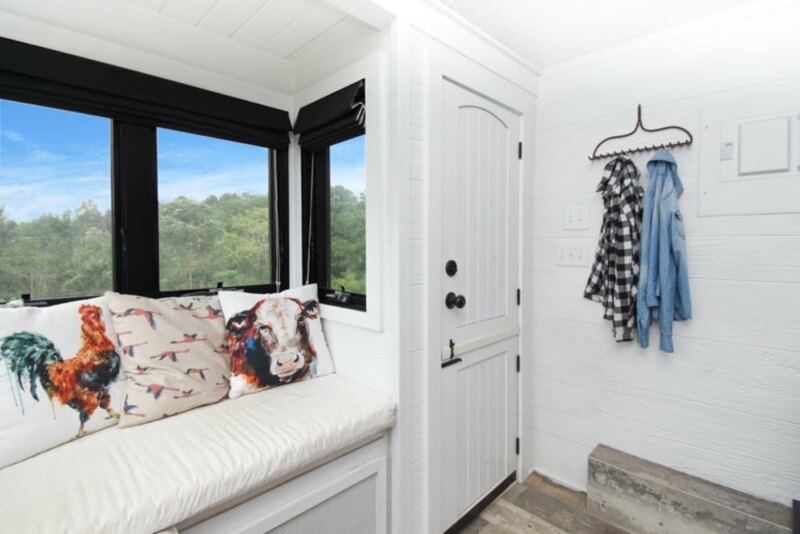 Located on the rolling hills of a historic farm just outside of downtown Winston-Salem, the Roost 18 is a dream getaway for anyone looking for a serene retreat in the country. The tiny farmhouse is clad in white wood panels with an itsy-bitsy but welcoming front porch. The black, A-frame roof pays homage to the many barns in the area. The living space offers a small bench for sitting and enjoying the views or simply snuggling up with a good book. The home is kept warm and toasty during the colder months thanks to the sheep’s wool insulation and the mini wood-burning stove. For added sustainable measures and to reduce waste, the kitchen was installed with energy-efficient appliances. The small bathroom, which has a stock tank tub for soaking, is installed with a composting toilet. 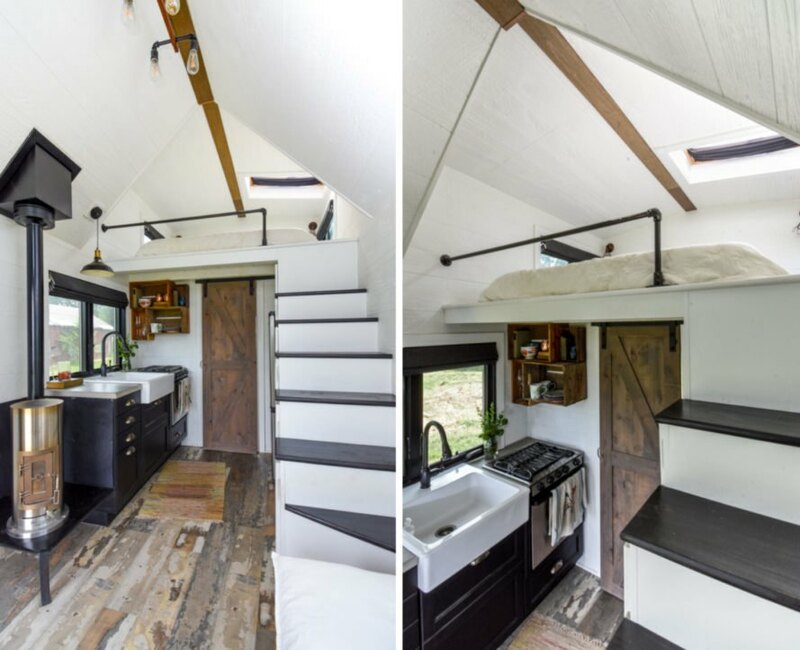 The tiny home sleeps up to four guests, with one queen-sized bed in a sleeping loft and a fold-out sofa bed downstairs. The interior of the home benefits from plentiful windows that provide stellar views of the stunning natural surroundings. (According to the reviews on Airbnb, this is a prime spot to watch the sunset.) Better yet, guests can enjoy a stroll around the working farm, which has a number of free-roaming animals and historic farm buildings. Roost 18 is located just outside of Winston-Salem, North Carolina. The A-frame roof gives the home a traditional farmhouse feel. 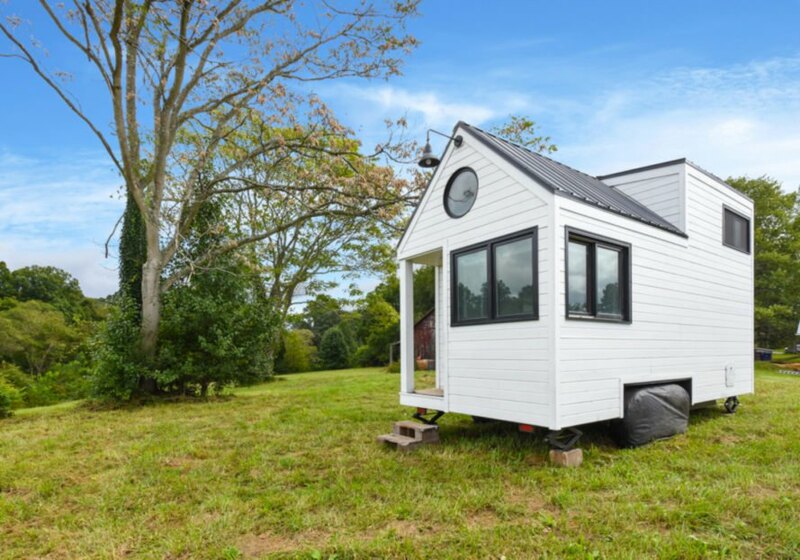 The tiny home is located on a working farm. The adorable farmhouse can be rented out on Airbnb. Roost 18 features an energy-efficient and self-sustaining design. The kitchen was installed with energy-efficient appliances. 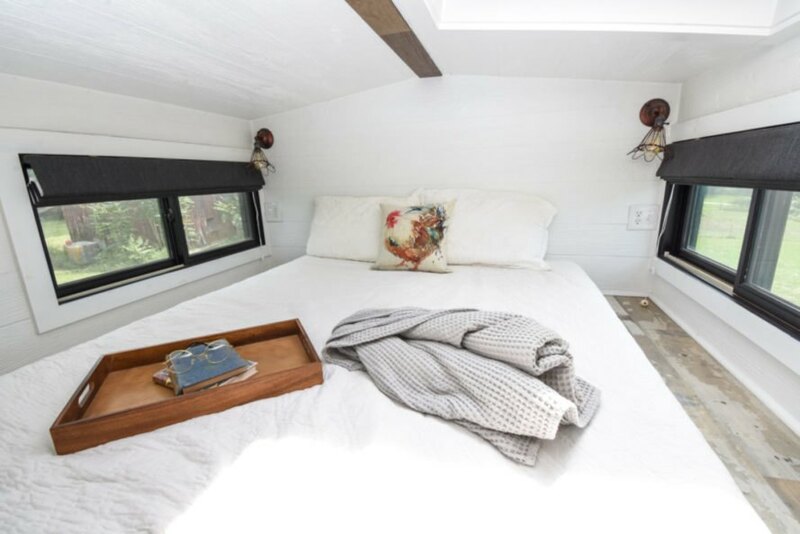 The tiny home keeps comfortable thanks to sheep's wool insulation and a wood-burning stove. A queen-sized bed is located on the sleeping loft. A stock tank tub is perfect for a relaxing bubble bath. Clad in white panels, the tiny home's volume pays homage to the traditional barns in the area. Visitors will enjoy vistas of rolling hills in the countryside. 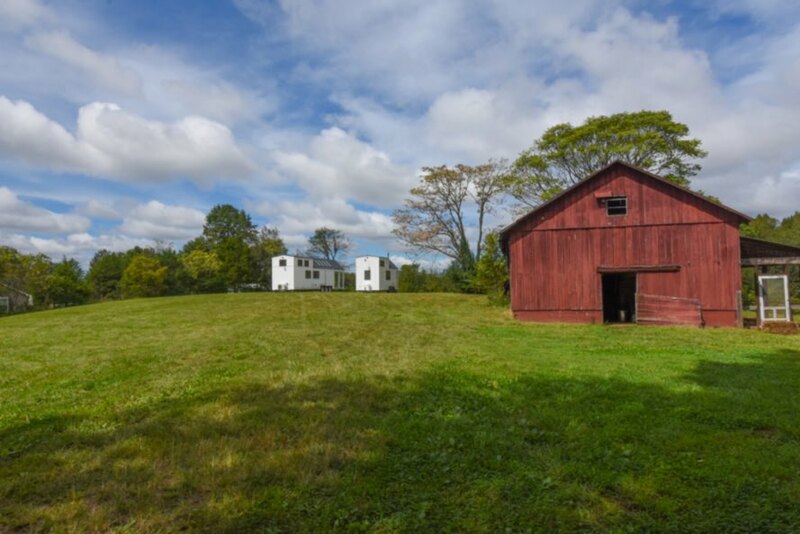 Strolling around the farm, guests will find many free-roaming animals and historic barns. Rates start around $88 per night.